BVEStation Network News / Re: The New B Line has been Released! When I was little, I rode the D line and the Orange Q line almost daily. The D ran local via Brighton to Coney Island, and the Q ran express via Brighton to Brighton Beach. I remember that like it was yesterday. Took that (D) to Cortelyou Rd to get home every day. Thanks for bringing the memories back DJ. from Bedford Park or 145 instead of 205 and also get a CPW Local version. Maybe a Brighton Local version as well perhaps? Please read the other thread for more information. They said already that it was Central Pk West. And that it starts at 205 St. Read carefully next time please. Don't replace the entire Lisa Raye 2 with the one they gave you, just put Brighton in. Everything works fine for me now. Thanks JayJay, everything works great now. I accidentally overwrote the objects, but I downloaded them from the (D), and everything is working ship-shape. Great route altogether. 1 more suggestion. You might want to make the station speed limit 55 KPH instead of 25 KPH. This route is fricken amazing!!! Nice job fellas!!! But it seems as if some of the objects are missing for me. Was I supposed to overwrite the Lisa Raye objects? Station Talk / Re: Favorite Station and Why? 200 St. This is one of my favorite stations because of the 8 Av line. The has always been my favorite and the switching that allows some trains if necessary to skip 200 St and/or enter the yard has just always fascinated me since I was smaller. 135 St. The only 6T side station in record. This can surely become useful during GOs, and I was always fascinated how some trains have the capability to not only run on the very inner bypass track , but also the Express, which is never used. 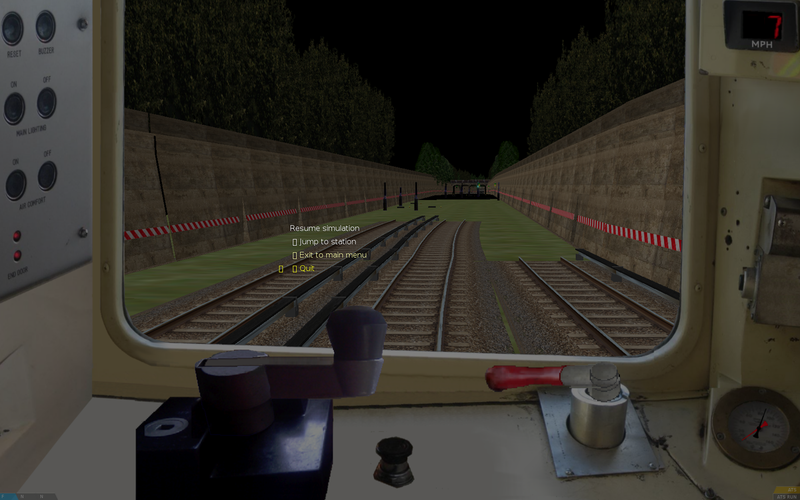 It has inspired me to build a route in Trainz Simulator on it, and things are looking pretty good so far. It is the third station after the 6T bypass. DeKalb Av. The only 6T bypass station in the books. Always been fascinated riding past this station. It allows Express trains to stop at the stop, while allowing the other trains to use the bypass tracks. As mentioned above, this is also part of my Trainz route. It is the second station coming out of a 6T island terminal. Church Av. Always thought that it would be awesome for the to stop here. The ( Q )<Q> or whatever else would come here would take me home to Cortelyou. My current avatar is the 70s ( M ), which once called called Church Av as a stop during it's Brighton Express or Brighton Local days, either one worked fine. Brighton Beach. The terminal of the ( M )( Q )<Q> back in the days. I always took the train to Newkirk and the Brighton Express all the way down to the end of the line. Coney Island sometimes, but most of the time it was getting renovated and only the had access. We had to take a bus, not sure exactly which one it was, to get to CI. One of my favorite routes is almost done if only we had the Q to Stillwell done. I would expect an update for the (Q) to come out with this, I would be surprised if it didn't. I get off at Cortelyou, and I can't even tell you how accurate that is. JayJay comin through once again. Great job. I will help you, but I can't test until next weekend . Not sure if this has been said already, but will the gates be fixed? I am not sure how hard it is, but I would do it if you could. I think there was a fixed link. It should work for all mac users, works great for me. Other Games / Re: R40 slant..nEed help! Nice work on this. If you need help with trainz, I know some guys.